Little Owl Larger Picture illustrates Nick's exquiste attention to detail. 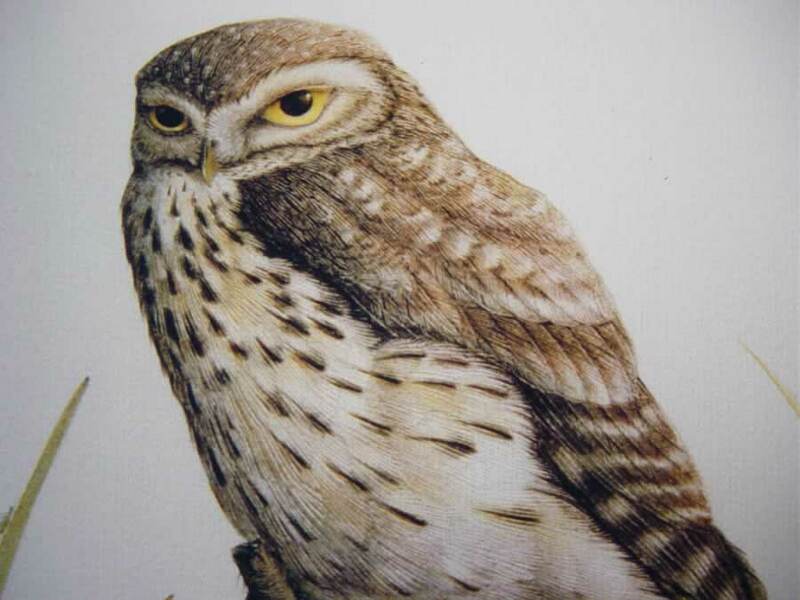 Nicks image of the Little Owl, brings to his mind of an inquisitive little elfin man. He said he will allways remember his first siting of this little bird.. It was a damp, cold and misty evening in November with the sun setting in the distance. On a fence post only 4 metres away was this impish little bird.